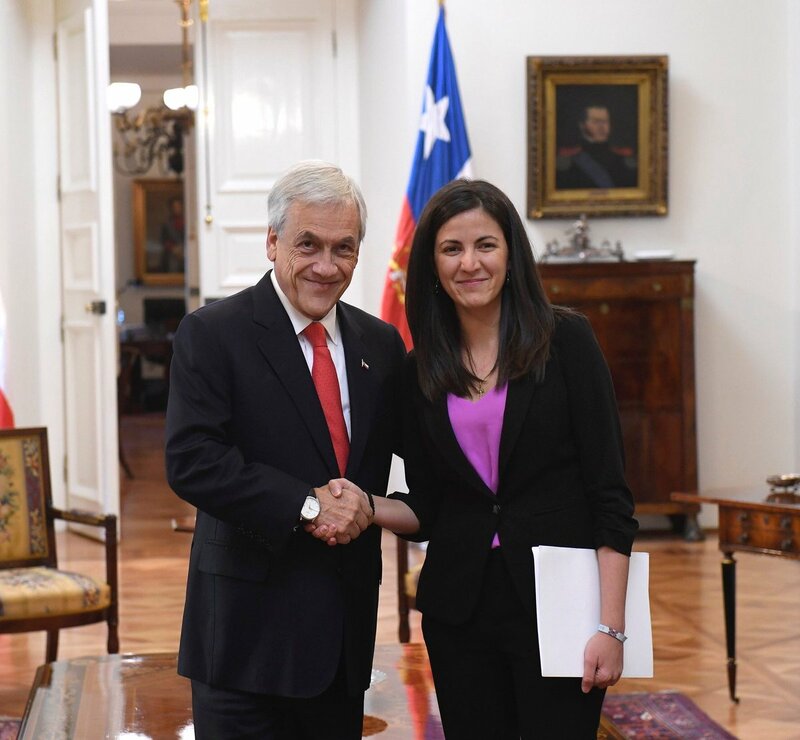 Chilean president Sebastian Piñera met with Cuban opposition leader Rosa Maria Paya at the Presidential Palace in Santiago. During their meeting, the Latin American leader pledged his continued support for the Cuban people and their right to decide their future instead of having it chosen for them by a corrupt and brutally repressive dictatorial regime. Piñera also pledged support for the Cuba Decide campaign in Cuba. The campaign, which enjoys wide-ranging support among Cubans both on and off the island, calls for a binding plebiscite vote allowing the Cuban people themselves to decide whether they want to remain as slaves of the Castro regime or live as a free people. Latin America has for the most part ignored the plight of the Cuban people and chosen instead to defend the apartheid Castro regime. For decades, Cuba’s murderously repressive dictatorship has been the recipient of unmerited support from many Latin American countries. But now, as the most democratic nation and most successful economy in Latin America, Chile’s public and defiant support for democracy and freedom in Cuba has the potential to change that tone in Latin America. La entrada Chilean president meets with Cuban opposition leader Rosa Maria Paya, pledges to continue support for the Cuban people’s right to decide their future se publicó primero en Cuba Decide.